Directional drilling is a technique that forcefully changes the position of the borehole. It uses special tools that helps the hole stay on track and within the planned trajectory. 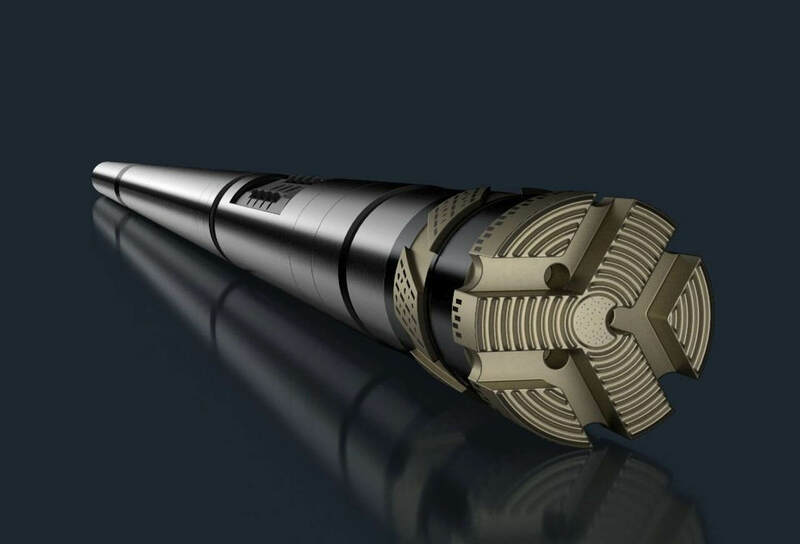 Directional drilling can be used to keep a hole straight (whether vertical or inclined), to navigate a hole to its target, to reach multiple targets from one parent hole (multilateral drilling), or to bypass lost downhole equipment. The CWT system developed by BG Drilling Solutions is the perfect tool for obtaining desired results with short wedge-like deviations. It’s a non-coring tool suitable for N- and B-size holes, without any depth limitation (>2500 m). The CWT is a robust and reliable tool that is driven by the rotation and feed of the drill rods and it doesn’t depend on water pressure or water flow in order to operate. We need to understand what you are trying to achieve. Send us your project scope with a project description that includes collar coordinates, collar azimuth and dip, and target coordinates. If you don’t have a project scope ready yet you can use our feasibility form to help you. Based on the data you provide we will create a directional drilling (DD) plan that details the proposed depths, lengths, and severity of CWT interventions. The DD plan is included in our feasibility report, which provides you with an estimated timeframe, meters saved, other possible scenarios, and our conclusion as to whether DD would be beneficial for your project. We prepare this report for free, without any commitment on your side. BG Drilling claims to have the lowest prices on the market. We will prepare our best commercial offer for you, with a detailed explanation of our price structure and the T&C. We don’t charge for spare parts and drill bits and we don’t have hidden costs. If you are still not sure whether you will benefit from using DD or whether our CWT technology is suitable for your project, we can provide a free demo. This way both you and BG Drilling will know better whether it’s worthwhile going any further. Whether you call us for a demo or start the actual work, we will proceed with mobilization of our CWT and manpower. The CWT equipment is packed in 4 boxes of 70 kg each. The CWT is always operated by our trained operators, who are drilling engineers. The CWT is a non-coring technology and executes short deviations with a short section of coring with the regular core barrel in-between. Depending on the DD plan’s recommendations, our team will execute one or a series of CWT deviations until the borehole is aligned with the target position. When the borehole is back on track and standard wireline drilling resumes, our team will closely monitor the borehole’s behaviour with follow-up surveys. We will advise on the best core barrel configuration and drilling parameters in order to avoid or minimize any unpredicted CWT interventions until the borehole is completed. Lalor Mine, Canada - Hudbay Minerals Inc.